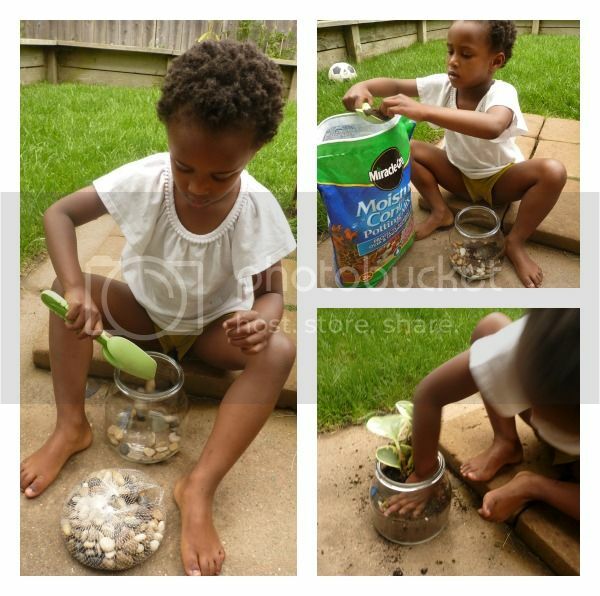 Marlie and Me: How Does Your Garden Grow? Every year I promise myself that I will learn to garden. I visit a nursery and get overwhelmed by all of the decisions...what is the difference between an annual and perennial? Which fertilizer is the best? How often do I water? The trip to the gardening center always ends with me chickening out. Then Miracle-Gro helped me find my inner gardening diva. Miracle-Gro has a long history for making products to help gardeners keep a healthy and beautiful garden. I remember my grandmother using their food sticks in her own lush garden. She grew wonderful vegetables, herbs, and flowers that I enjoyed picking in the summer. Unfortunately, I did not inherit her green thumb. Thankfully, Miracle-Gro is starting a movement to simplify gardening for wannabe gardeners like me through their The Gro Project. Marlie and me the and selected the toyrarium project which is a unique spin on a terrarium. Then we climbed into the car and went shopping for supplies including a bag of Moisture Control Potting Mix for indoor/container plant life. Back at home we followed the easy step-by-step instructions for making the toyrarium and enjoyed a Saturday afternoon getting our hands dirty and having oodles of fun. We think our jurassic park deserves two green thumbs up! 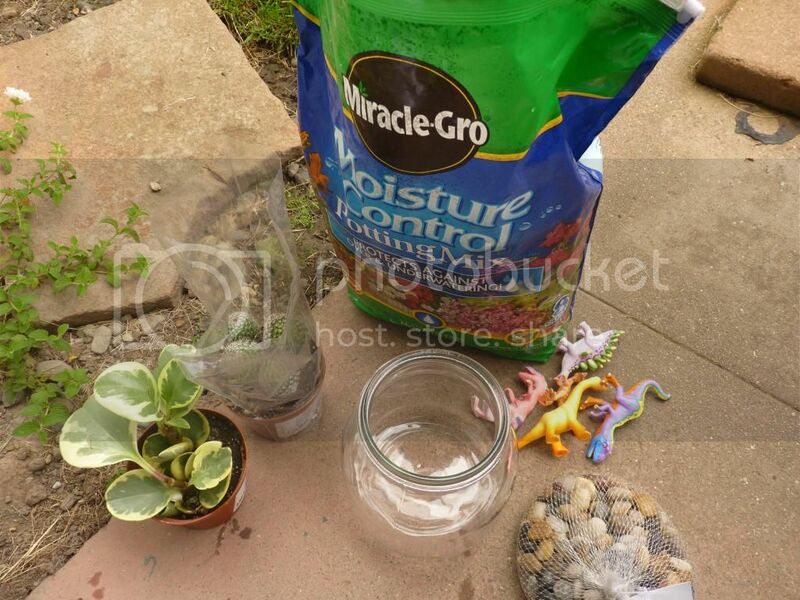 Check out the Miracle-Gro Pinterest page to find and share more fun garden projects! awesome job! miracle grow is one of my favorites. Okay who is that big girl? Marlie has grown a ton! Good job on the gardening! I got my peas and beans in too late but everything else is good in my garden... my pumpkin plant went cuh-razy! Marlie has grown so much! Wow time flies! 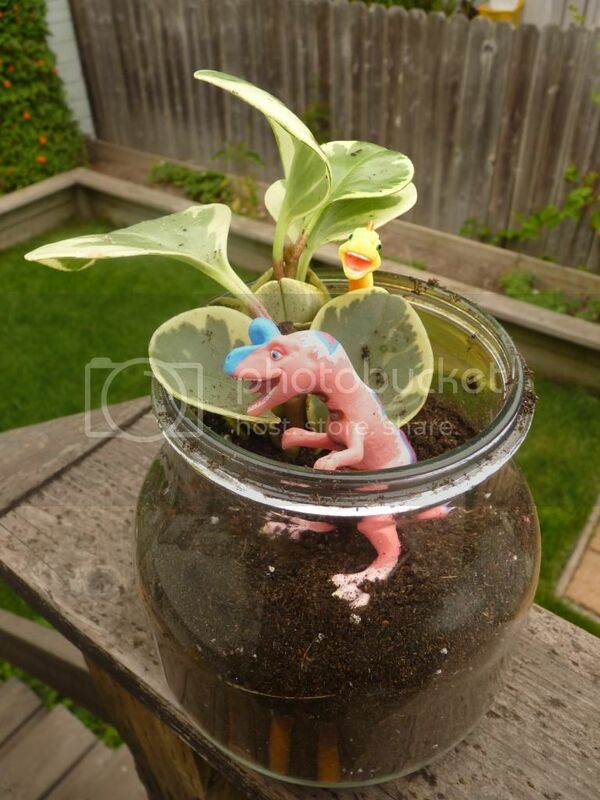 I love using miracle grow, and I love the toy dinosaurs. What a fun activity for the kids! I hate gardening (because I'm terrified of the bugs I'd encounter) but I could do this activity!